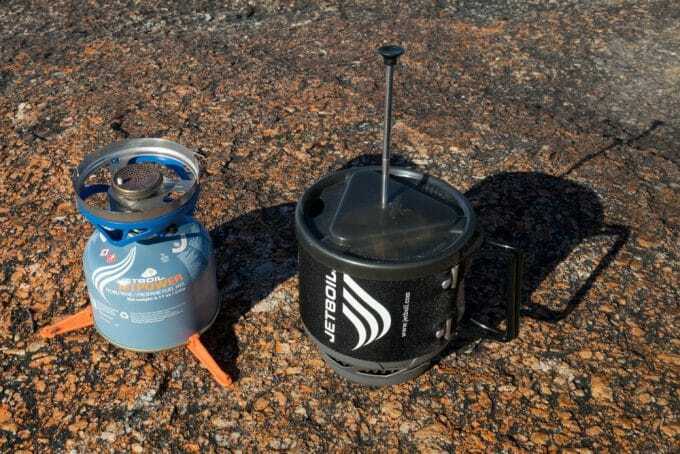 Jetboil Flash vs Zip: Which One is The Best Stove for Outdoor Use? As the festive or winter seasons approach as the most adorable seasons to explore the countryside, we desire to be well-prepared for all our cooking needs. The campfire, for example, may not be the best option in some instances when you need the boiled water quickly for a hot delicious coffee. Now the stoves have come in handy to many explorers as alternatives to the campfire in preparing your breakfast meals or boiling water. But then there are factors such as the weight and other additional gadgets that are at the forefront of our decisions when purchasing such stoves. 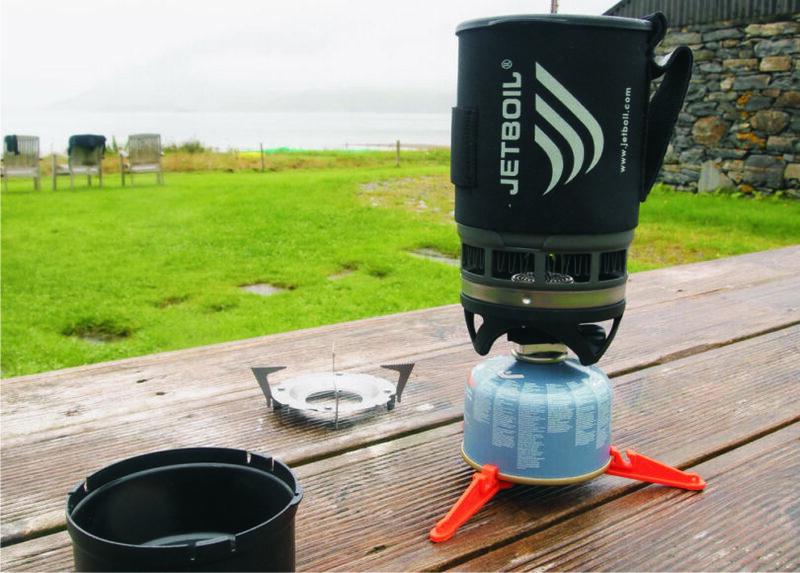 To help you in your search of the best featured stoves, we have brought the Jetboil Flash vs Jetboil Zip stoves article to you. Having either one of them is undoubtedly the best idea. 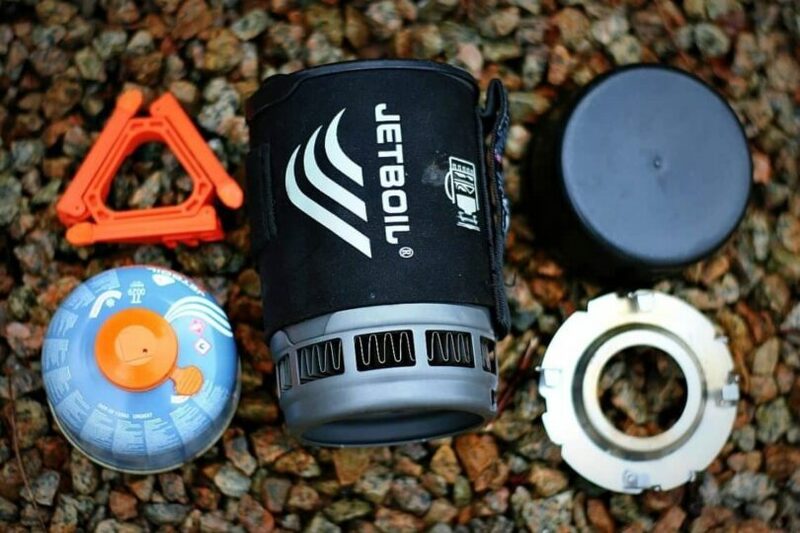 For all your outdoor quick cooking needs, the Jetboil Flash and the Jetboil Zip compact stoves are the great products you wouldn’t like to overlook. They are so far the most popular stoves renowned for their essential functionalities for outdoor adventures compared to other models by the same manufacturer or even by different manufacturers. Nevertheless, it is not that easy to decide with ease that which cooking system among these ones could be the best for your cooking needs, especially when faced with their wide range of specifications that they have. Among other considerations, they come with features that may be appealing to different users, so knowing all the pros and the cons of each, will definitely help you make the right decision. 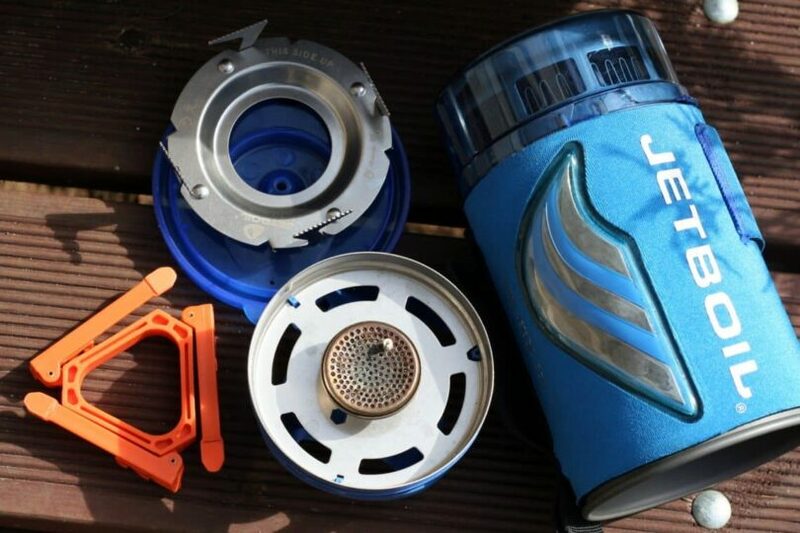 Before we can tabulate the key differences and similarities of these Jetboil’s products, let us give you a glimpse so that you can understand them or see the need to have any of them. These cooking stoves have been engineered to make outdoor cooking an absolute breeze, but only for minor cooking such as warming of your breakfast oats, dehydrated meals, making a delicious cup of coffee or boiling water for any use. For major cooking needs, you will have to resort to the campfire. These stoves come with varying components such as the cooking cup, adjustable stove burner, stabilizer tripod and igniters that are central to their optimal performance. With these components, you can have your cooking system to prepare food in less than 5 minutes depending on the model chosen. Worth noting is the fact that these stoves vary with the components that also justify their price difference. 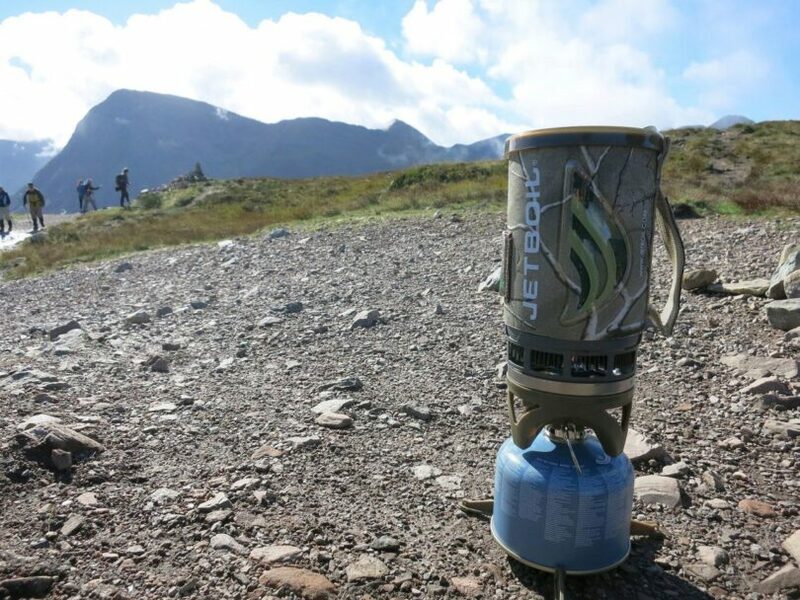 The nice thing about the Jetboil stoves is that they are light in weight to make them suitable for outdoor activities such as backpacking and camping so that they do not overburden your gear. This lightweight feature makes them a decent choice among other stoves, and furthermore makes it easy to prepare food at a blink of an eye while in the wilderness. After all, who would tolerate hours of preparing food in the morning prior to setting feet on the trail whereas the quicker methods are available? On average, these stoves come with less than a liter of the cooking cup, and other light components that are stowed in the stoves to make them more portable. Let’s now get into the reviews of individual products to outline the full details. 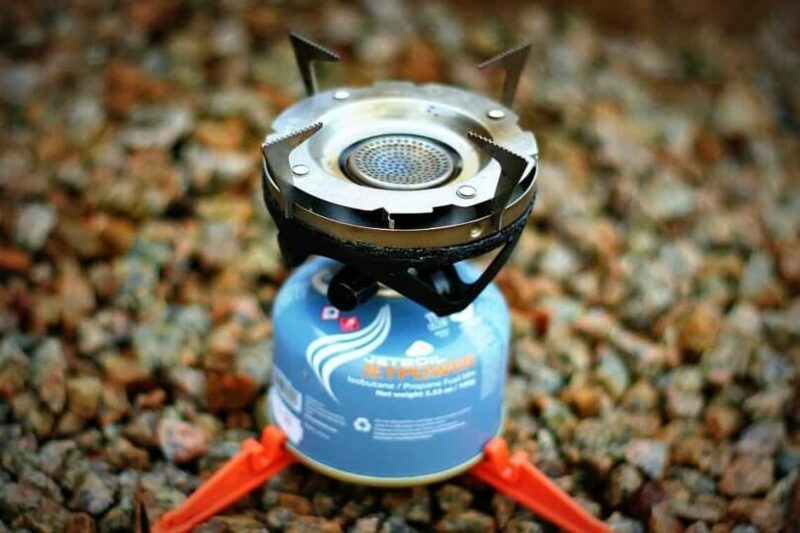 Compared to Jetboil Flash, this is the most lightweight and compact stove with 0.8 liter of the FluxRing® cooking cup. In this cooking cup you can pour water to prepare your hot coffee or warm meals with it because it has an insulating cozy. It will certainly take less than 5 minutes as the average time to boil the water. However, if you need more water, you have to boil many batches until the required liters of water are boiled. But if you are a solo traveler, for example, you can save the hassles of having to boil water repeatedly for many people because a single cup would be ok for you. The FluxRing® cooking cup can be disconnected from the Jetboil Zip cooking system for storage purposes. Also the stove burner can be disconnected when the need arises. These components twist simultaneously with the stove for better convenience, and the burner can be adjusted to control the amount of flame needed. Furthermore, the burner and the fuel canister can be saved in the stove; but bear in mind that the 100 g fuel canister has to be bought separately from retail stores due to shipping restrictions of flammable products. 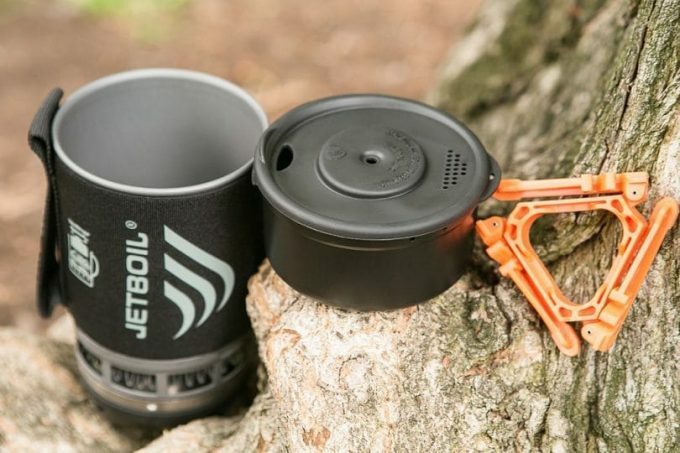 When using this Zip model of Jetboil, the heat will be transferred through the bottom of the cooking cup which has the fuel efficiency to boil half a liter in just 2 minutes and 30 seconds. The model includes the tripod that helps stabilize it, and also clips on the 100 g fuel canister. Please note that only a 100 g fuel canister is compatible. So, if you purchase more than the recommended size, it might not work on this cooking system. Moreover, the stove uses isobutane-propane fuel to provide heat to the cooking cup. In case you need a measuring cup, you can use the bottom cover of the cooking cup to use it as either the measuring cup or the bowl. This outdoor cooking set is the larger option to the Jetboil Zip. It comes with a 1 liter of the FluxRing® cooking cup that also boils in just less than 5 minutes to help you prepare a cup of coffee or warm meals quickly. To be precise, it can take 2 minutes to have your water ready boiled, and it can boil in any weather condition. This means that the stove is not weather dependent for it to effectively provide you with hot water in a few minutes time. 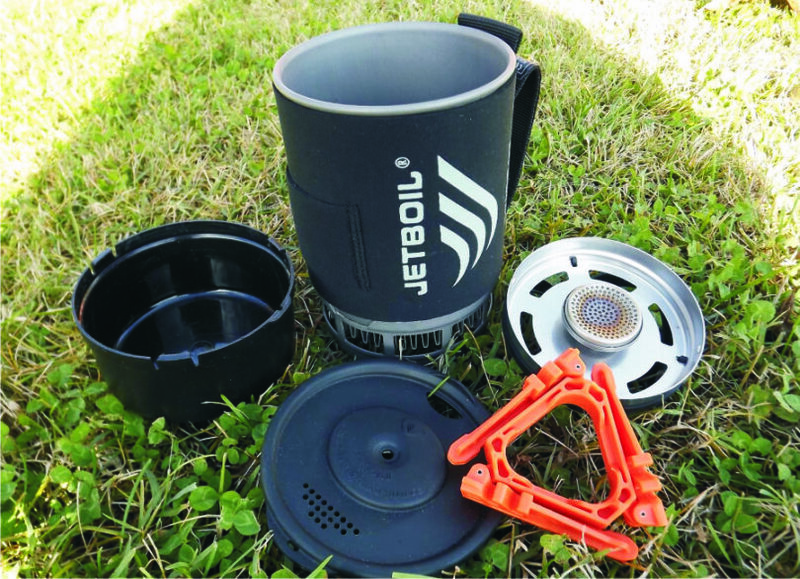 The Jetboil Flash can be suitable for two people out in the wilderness because of its more capacity of 1 liter than the Jetboil Zip that help make 2 cups at a time. So this is an opportunity when you are traveling with your partner or other people. On repeated boiling, for example, it can provide 4 cups in less than 5 minutes because of its fuel efficient cooking cup that clips on the burner. 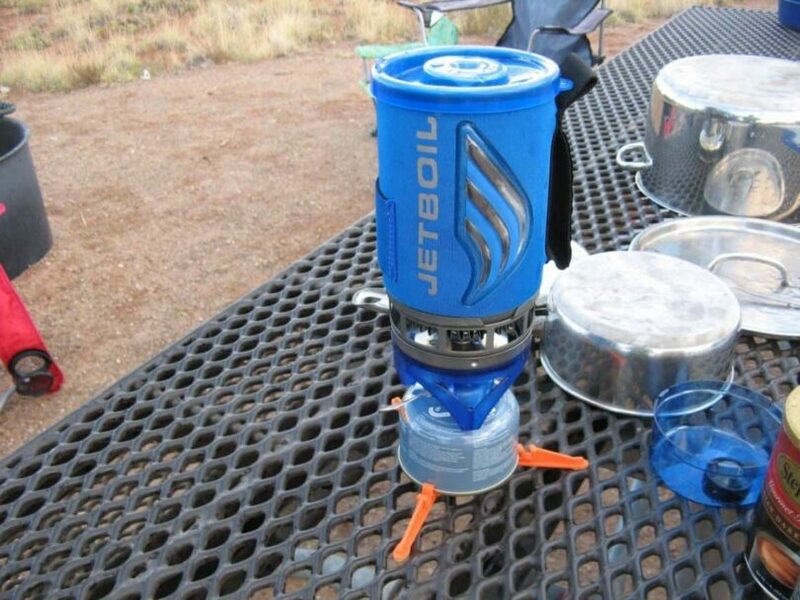 The stove comes with a stabilizing fuel canister tripod which clips on the 100 g fuel canister. 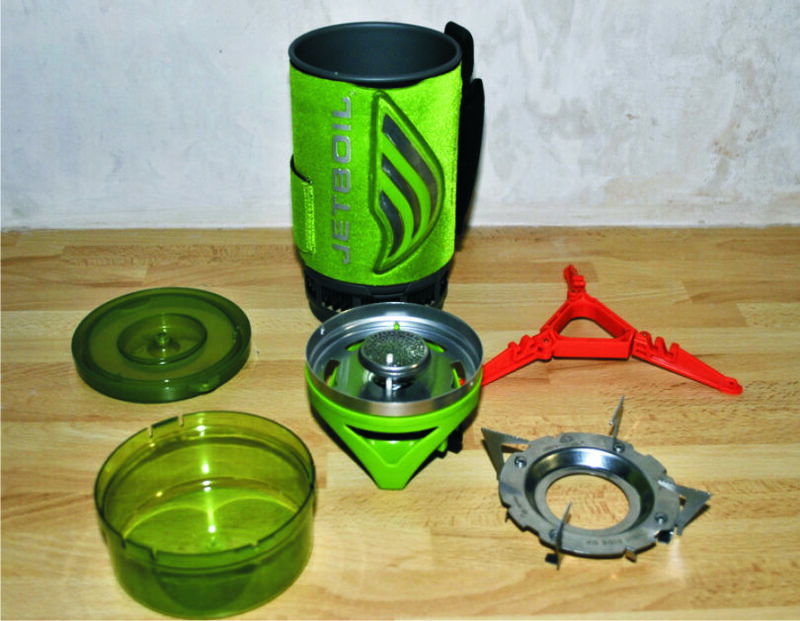 But note that the fuel canister is not included when purchasing this Jetboil Flash. Instead, it has to be bought separately even though it is seldom shipped due to flammable materials shipping restrictions. Your only option is to visit the retail stores in your proximity to look for this flammable product. To light this stove, there is a push-button igniter as well as the color change heat indicator. Well the Jetboil Flash outperforms the Jetboil Zip with this essential feature. For storage purposes, the adjustable stainless steel burner and the 100 g fuel canister can be stowed in the stove. Meanwhile, the bottom cover of the cooking cup can be used at either the bowl or the measuring cup. It makes your gear to be lightweight because you will not have to bring an additional measure cup. Furthermore, the cooking cup has a great insulation cozy to keep your food warm and boil water efficiently. When buying the Jetboil Flash, take note of the varying models such as the Jetboil Flash Java and the Lite model. The Java model, on the other hand, comes with the coffee sample, although it is relatively expensive than the others. The Flash Lite is similar in liter capacity to the Jetboil Zip but it is priced the same with the regular Flash model. 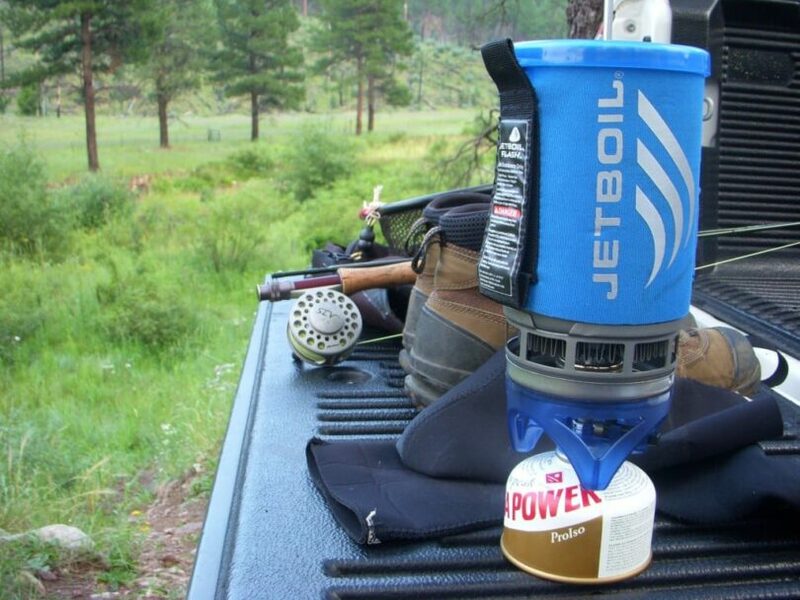 Not with standing the variety of models that Jetboil Flash has, it remains the superior outdoor cooking system. All the models have the same features with a few exceptions that include the size of the FluxRing® cooking cup. And all the other components such as the adjustable burners, fuel canisters, and the stabilizer tripods remain common. The main concern is to compare the Jetboil Zip and the Jetboil Flash features so that you choose the right stove which can be more suitable for your wilderness adventures. Find below the tabulated comparisons done for these outdoor cooking systems. 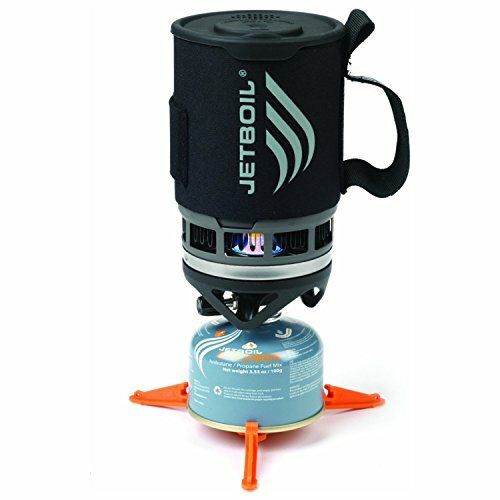 Based on the aforementioned features between the Jetboil Flash, and Zip, we can come to conclusions and recommend the best stove in accordance with your preference. Let’s first consider the liter capacity and then the ounces of either stove. The other key differences will be discussed subsequently. 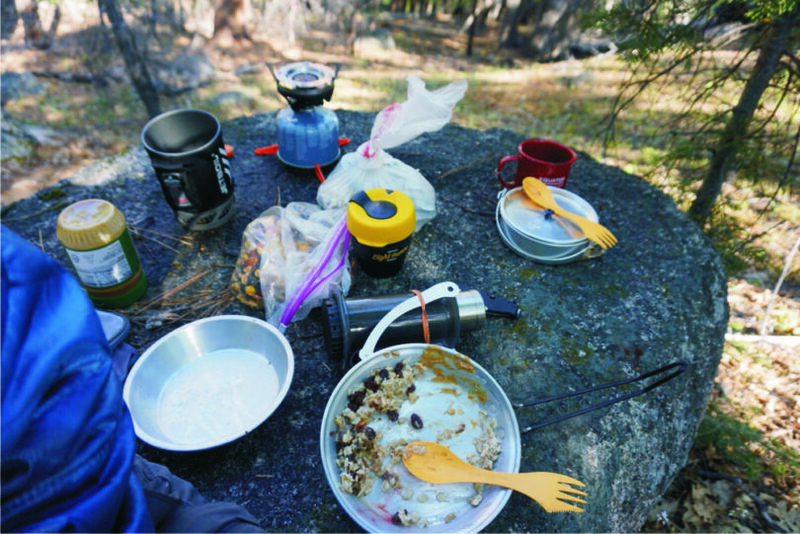 The Flash model, in particular, can be suitable for two person backpacking because it can make 2 cups at the same time in less than 5 minutes. It can also warm enough food due to its larger capacity of 1.0 liter. Again, it has more ounces than the Zip meaning it puts more burden in relation to the Zip. If the weight isn’t much of a priority, but the capacity is, then you can consider the Jetboil Flash. You won’t have to boil water separately for each person’s cup. 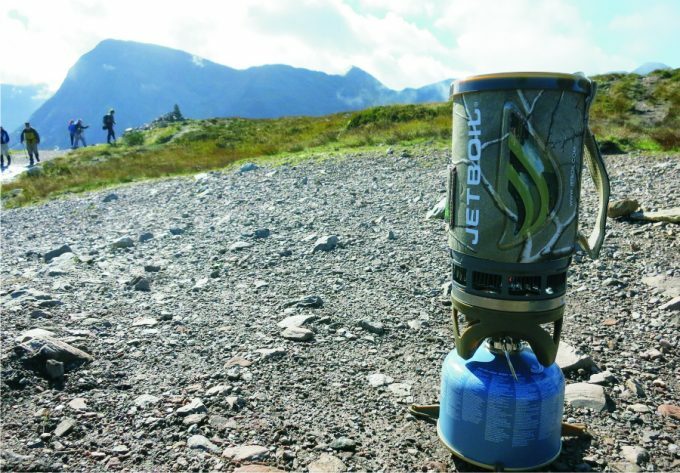 The Jetboil Zip, on the other hand, it is more suitable for a solo backpacker because of its limited and relatively smaller liter capacity. It has about 750 ml of capacity, and that can make one cup. If you want to make for the other person, you will have to boil another batch of water. With regard to its weight, it has fewer ounces compared to the Flash model. That said, if the weight of the stove is your priority, then the Jetboil Zip is your best fit. As outdoor enthusiasts, we prefer lightweight products that will not overburden us when traveling long distances. Having mentioned this, the Zip model will certainly be a good choice to the travel that prioritizes weight over everything such as performance. The Jetboil Zip will be a great and decent choice more especially when you travel alone, whereas the Flash could be a great choice if you decide to overlook the weight and, instead, focus on its optimal performance and capacity of catering for two persons. 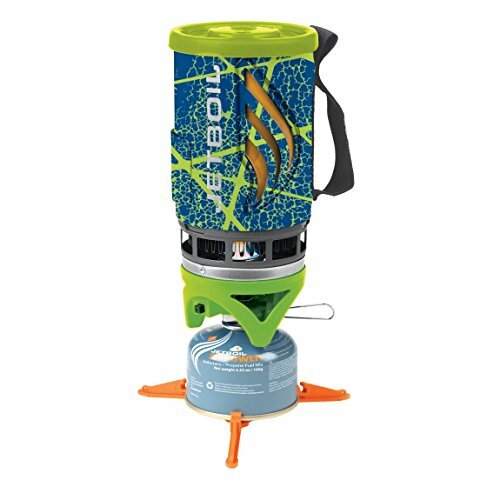 When considering other features such as the auto ignition, Jetboil Flash overpowers the Zip model. It comes with these fancy features for efficient creation of fire. Also worth noting is the push button igniter that it has. The Zip cooking system, on the other side, needs you to have additional lighters to ignite it. These differences of features justify the price difference between these two models. For instance, the Jetboil Flash is about $20 more expensive, which is reasonable when you take into account its superior and fancy gadgets compared to the affordable Jetboil Zip. The Zip has nonetheless provided an optimal performance with its basic features to many customers. It is a portable cooking system, although outperformed by the Flash with additional gadgets. Even more about the additional gadgets, the Flash has a color change heat indicator as the temperature indicator pitch. It helps you to regulate the amount of the temperature needed in cooking or warming up on your food. This feature is helpful to help prevent the burning of food with too much heat. Unfortunately, the Zip model doesn’t seem to afford users with an opportunity to regulate the temperature when cooking. It is nonetheless still the brilliant cooking system, although the Flash outsmarts it. With these observations, the Flash is the safest stove to buy. If you are on a budget, the Jetboil Zip is the best choice for your cooking needs. It costs about $80 whereas the Flash costs $20 more to it. But obviously the price comes with features as seen in the table above. For example, the higher price of the Flash stove is justified by its advanced features. The additional price on any of these products could emerge from the 100 g fuel canister which has to be purchased separately. Other prices could involve the purchases of coffee press and other indispensable accessories. But note that any of these stoves is compatible with Jetboil accessories only. In overall, these stoves are similar with regard to their the components. For an optimal performance, We do recommend the Jetboil Flash over the Zip. But individual preference is paramount because each product has its own cons. For instance, the Flash seemingly appears to be the best performer, but then it is relatively heavyweight and more expensive. The pro side of the Zip stove is that it is light in weight and relatively inexpensive. But then it lacks some of the features such the auto ignition that the Flash has. 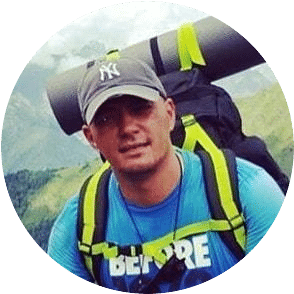 As much as you might have an idea of which stove to purchase for your outdoor excursion based on our reviews, you must take time to read the customer reviews on the site that you purchase the products at. The previous customers can help you know the inconveniences or advantages associated with any of the stoves. Once you know about the cons, for example, you can take remedial actions such as changing the decision to either buy the Jetboil Zip or the Jetboil Flash. Also important to note is that, you need to buy only additional accessories that are manufactured by the Jetboil brand. For example, you might need to buy additional coffee press or utensil kit. Or perhaps your product needs replacement parts such as the adjustable burner or the tripod later on; Jetboil made parts should be utilized. Furthermore, the compatible fuel canister needs to be bought for the stove to be ignited. If, for example, you purchase a larger canister, it might not be compatible with any of the Flash or Zip models. The Jet Flash has various models, and most of them are similar in components with a few exceptions such the liquid capacity. 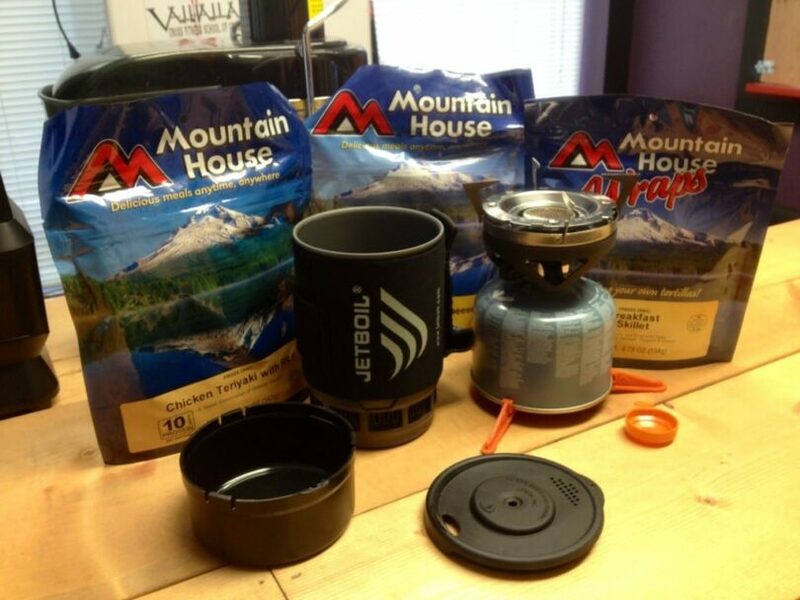 You can either opt for the Jetboil Flash Java or Flash Lite. But the Java model is expensive. Having reviewed the differences between the Jetboil Flash and the Jetboil Zip, you must now be in a good position to decide that which product is more suitable for your cooking needs. Just a final word, the Flash is bigger than the Zip and, therefore, would be a suitable choice for two person backpacking because of its ability to make 2 cups at once. The Zip is preferable for solo outdoor activists because it can make 1 cup at once. It needs to be boiled repeatedly to serve two people. But price wise, the Zip is affordable than the Flash. Take time to assess the features as aforementioned to see that where can you invest your hard-earned dollars. 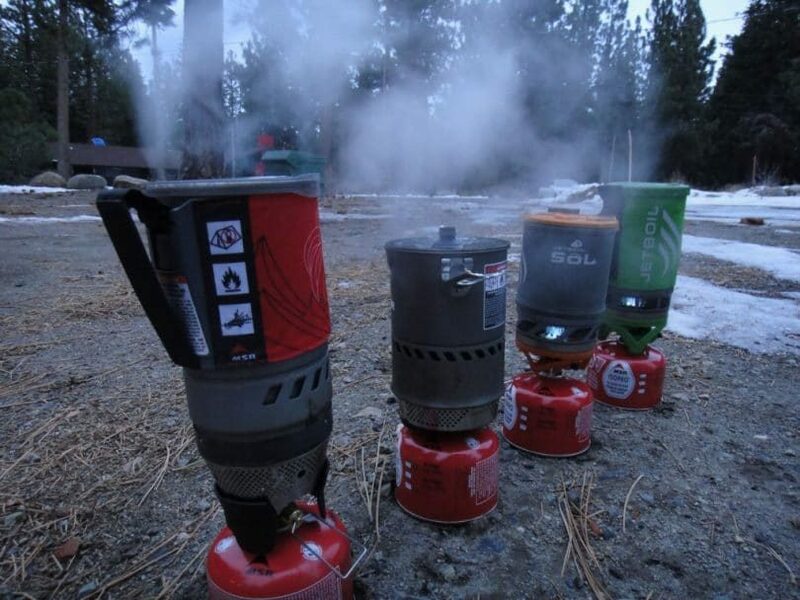 Has this review of the Jetboil’s popular cooking systems helped you? If so, then let us know in the comment section here under. We have endeavored to bring you every detail to help you choose the best product for your wilderness cooking needs. If you have any question you can post it and we will answer you accordingly. We wish you all the best in your decision making, and also in your outdoor activities. In the same note, we are furthermore certain that you will survive the coldness of the morning with a hot coffee made from either one of these stoves.